Machu Picchu (meaning “Old mountain” in Quechua) – is an Inca citadel built in the 15th century and abandoned just after 30 years after people started living there. Machu Picchu was unknown to the outside world until 1911, which is the reason why it is preserved so well. This mysterious place has truly given us many riddles to solve and many discoveries about this civilization! 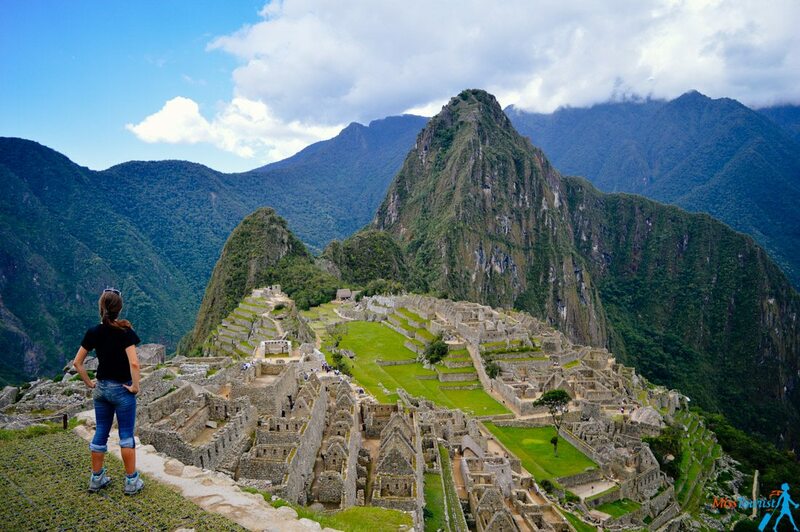 So, your dream is to go to Machu Picchu and you are wondering how much will it cost you? I have made the trip independently and carefully wrote down all the costs for you. Accommodation in Aguas Calientes and Cusco. Machu Picchu is a UNESCO world heritage site and the most popular place to visit in Peru, thus, the entrance to the site is obviously not free. 30$ for Machu Picchu or 45$ for Machu Picchu and Huayna Picchu together (see the explanation below). What is Huayna Picchu and why should you go there? Huayna Picchu (also Wayna Picchu/Wayna Pikchu in different spelling) is another mountain which gives you a perfect view TO Machu Picchu. I highly recommend going there too. But please take into consideration that it is a quite hard 40 minutes to one hour climb, people in good physical shape will definitely do it. I was quite exhausted I remember. But the view was worth it! Note that Huayna Picchu has its own separate limit to enter – only 400 people can do it per day. 200 people at 7 am and 200 people at 10 am. Huayna Picchu is located inside the Machu Picchu complex, so, you cannot visit Huayna Picchu alone. Print your ticket and show it at the entrance. Once you know your preferred dates, you can buy your ticket. The sooner you do it, the better. Why? Remember that there is a limit of 2500 people per day! This means, you really should plan your dates in advance, especially in the high season (June-July). This was always a headache for tourists (me included) because it is usually hard to say the exact day in advance. I have heard that in the low season you can even buy your ticket the same day of the visit, but if you are sure about your dates, better to take care of it in advance. If the worst happened, you are in Peru, and there are no tickets left, don’t panic! There is still a way, and you did not come all the way for nothing! My guide told me that if you come at the entrance, you will still be let in. There are people at the entrance who will take cash from you, the last July in the very busy days there were up to 7 500 people instead of the maximum 2 500, crazy! I am not sure if the government will change the rules next year and be more strict, so I recommend taking care of the dates in advance. http://www.machupicchu.gob.pe/ is the official website where you can buy the entrance tickets to Machu Picchu. You will receive your ticket by email. Print it. Here we go, done! You are ready to go! 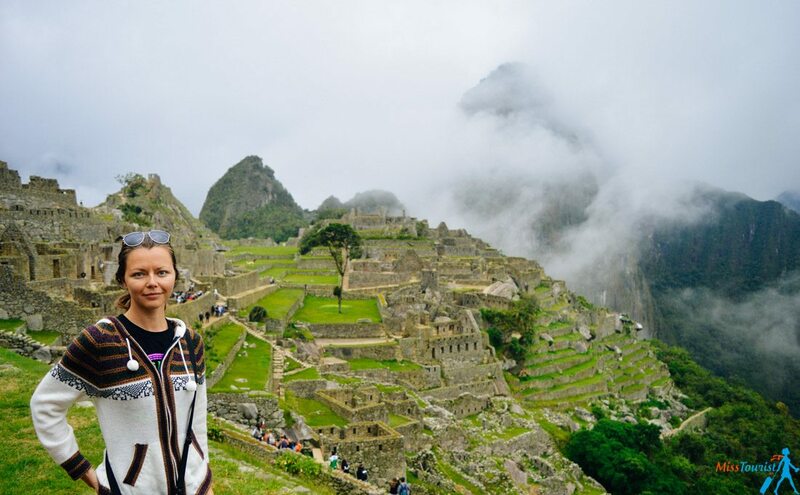 c) What to do if you can’t buy your Machu Picchu ticket online? But wait, what if there are payment problems? Apparently, card denial on Machu Picchu official website is a common problem, there are numerous forums in the internet discussing the issue and the possible solutions. You might (like me and many other people) have some problems with the payment. You only can pay with a Visa verified card, and it often does not work. If you are one of the lucky ones, and you have received your confirmation, just skip this section. If you encountered the same problem, read through, I made an extensive research and here are the solutions. write to Mr. Augusto Cier on [email protected]. As you can see, there are many options, I hope one of the first 2 will work well for you. In my case, my hotel in Cusco bought the tickets for me (more about them below). I just paid them the money later. Now, once inside the place, I HIGHLY recommend taking a guide, I would miss out SO much if I would not take the guided tour. The price for the guide is ~15$ per person in the group or 50$ for a private tour. (That is already negotiated price, but you might be able to lower it a bit). PRO TIP 1: The majority of people leave before 2 p.m., if you stay longer, at 2 30 – 3 p.m. there is almost nobody. You have the whole Machu Picchu all for yourself! PRO TIP 2: As there are no cafes inside, try to get your own food with you. There is one overpriced restaurant right outside Machu Picchu entrance. Or you can buy sandwiches from women near the bus in the morning, it will be much cheaper. PRO TIP 3: Remember there are no toilets inside, you can go outside two times presenting your ticket at the entrance. ENTRANCE PRICE SUBTOTAL: 45$ (Machu Picchu and Huayna Picchu entrance) + 15$ guide = 60$ per person. Most probably, transportation costs will surpass any of the other costs for you. 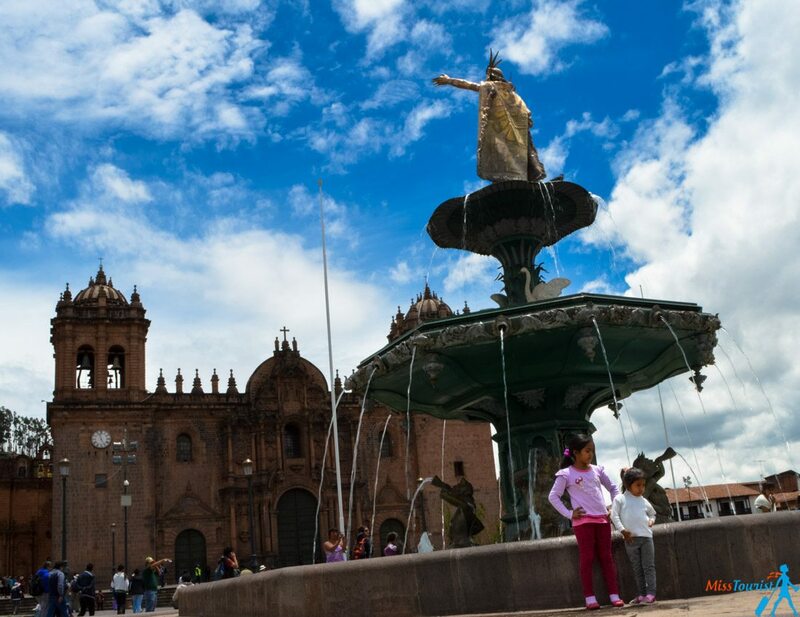 Cusco is the closest city to Machu Picchu. You will need to get there first. There are no car roads leading to Machu Picchu and no direct train line, thus, you will have to change a couple of times. 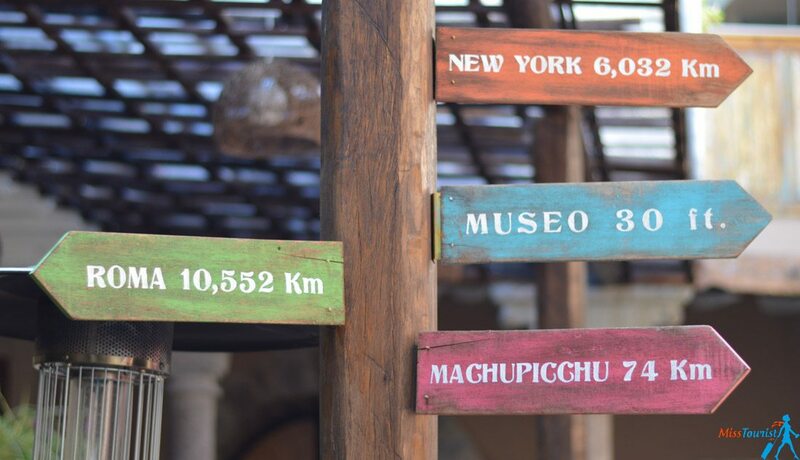 Unfortunately, there is no direct way of getting from Cusco to Macchu Picchu. Machu Picchu (shuttle bus, 20 mins, 12$). NOTE: All prices are one way. Even if there are many steps, you will see that the procedure is pretty simple and clear if you go by train. However, you can skip the train and walk instead on the rails for 12 km, but I do not recommend it unless you are on a very tight budget. While of course you can buy a ticket to Ollantaytambo right there, the train tickets are fast to sell out (or increase their price). First of all, there are 2 companies that serve that rail road Peru rail and Inca rail. All the others are agencies that resell Peru Rail and Inca Rail tickets. The companies are pretty much the same and provide similar service. Just head over to both website, compare the prices and the time more suitable for you and buy the ticket. The interface is quite intuitive now, so I guess I will not explain how to buy it. !VERY IMPORTANT! : on the platform, when you will have your ticket scanned, you will need to show the credit card with which the payment was made. Thanks God, I read this a night before, otherwise I am not sure they would even let me on the train. In case some of your relatives are paying for your, you have to email his/her passport copy to Peru Rail/Inca Rail in advance. 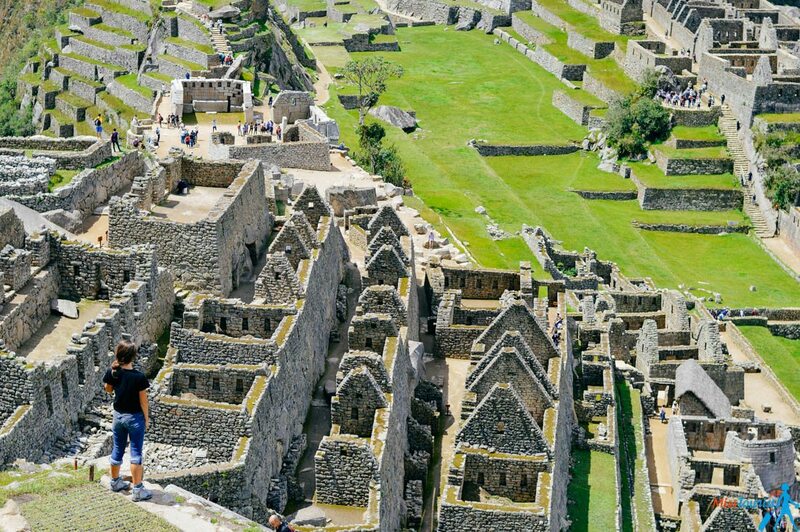 In order to organize your Machu Picchu trip, you will most probably stay in 2 cities –Cusco (The old capital, highly recommended to stay for at least a couple of days to discover some of the Inca heritage) and Aguas Calientes (the night before Machu Picchu). 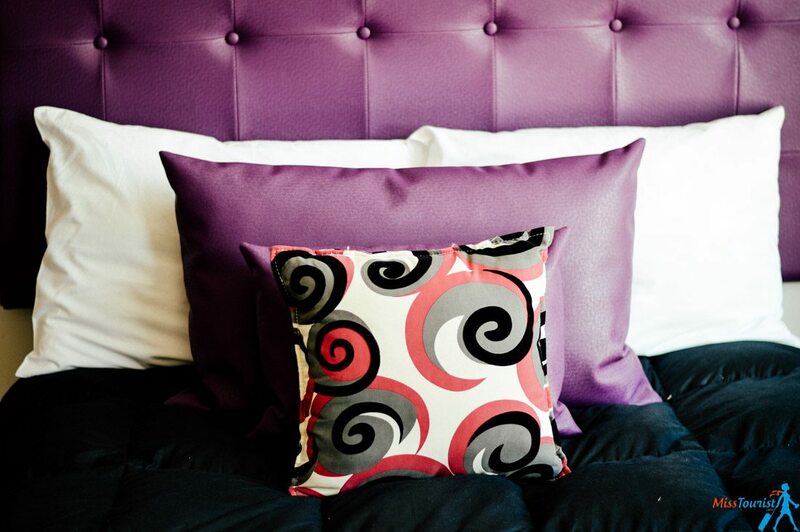 The cost of the hotel will, of course vary according to your needs and budget. About 45$ per person for 1 night accommodation in Cusco and in Aguas Calientes (see the breakdown below). The price in a hostel can START from 10$, in the hotel from 25$. The hotel I stayed in Cusco is called R House Cusco. It is located 15 minutes walking from the main plaza and it has a fantastic view to the city! 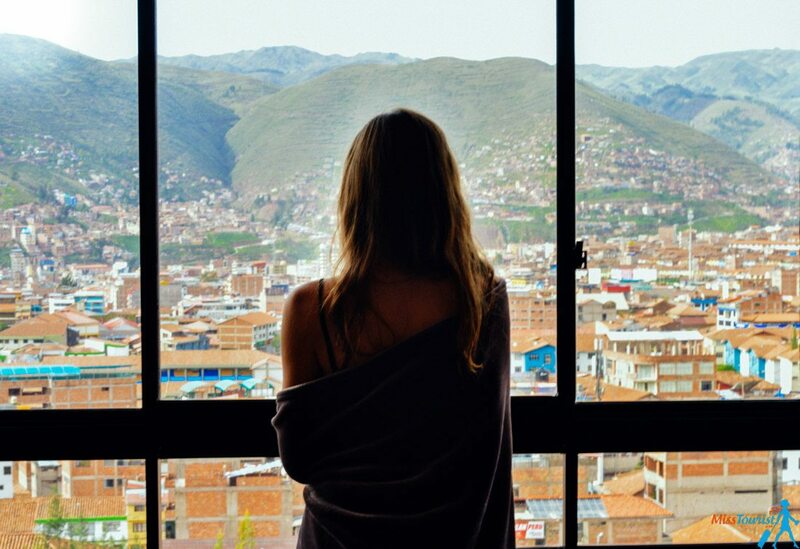 The things I like the most about R House: it has a charming big living room, where I could sit on a sofa, enjoying the night view to the old Inca city while drinking the coca tea. Awesome! The breakfast is also served in your living room every day. No need to go downstairs. The staff was very nice and helpful. When I was in trouble buying those Machu Picchu & Huayna Picchu tickets, they bought it for me without any problems. I just had to tell them my passport details and I could pay later when I check out. Thank you very much for that, you saved me from so many troubles! If you are traveling with a big group, R House is just perfect for you, you can rent up to 4 bedrooms on the floor and enjoy your own penthouse! Also, leaving your luggage while you are enjoying Machu Picchu is absolutely not a problem, they even have a special locker room for that. PRICE: the prices in Cusco R House starts from 60$ for a double room, breakfast included. Check the rates for your dates here. Palacio del Inka will take your breath away with its amazing design and spotless customer service. It will give you the feeling of living in a real palace. JW Marriott El Convento has an antique air to it, with sculpted walls and unique interior designs. It also has an interior swimming pool and is home to the finest cuisine. Costa del Sol Ramada Cusco has its own charm in the design and even offers breakfast at 4am for guests going on hikes. Hotel TamboArriero Boutique is located in a walking distance from the city center and it will offer you the experience of living in an authentic Peruvian house. Hotel Santa Maria: you can’t be any closer to the city centre. This is a great choice for visiting the city by foot. Hotel El Virrey Boutique is the perfect choice for people who want to experience local cuisine and bars, at it has plenty of them surrounding it. You can stay absolutely anywhere. You know why? You will have to wake up at 4 a.m. in any way. Thus, unless you are staying for a couple of days, I see no point to book a posh hotel with a swimming pool. Just choose any hotel that is nice enough to spend the night and that serves breakfast at 4 30 am in the morning (most of them). PRICE: the accommodation in Aguas Calientes (search Machu Picchu in the search box) typically starts from 25$ for a hostel and 35$ for a hotel. PRO TIP: If you are a foreigner, you don’t have to pay 18% VAT If you present your immigration paper (the one they give you when you cross the boarder, don’t loose it!) before checking in. Don’t forget to take it with you to Aguas Calientes. NOTE1: Please note that I did not include food in my calculation. That really depends on your personal preferences and I did not include it in the breakdown. NOTE2: The price can be a bit cheaper (~20 – 30%) if you decide not to go to Huayana Picchu and stay in hostels. The price can obviously be much higher if you decide to take a private guide, stay in better hotels etc. In this article I calculated the average price, and you can estimate your own according to your needs. In case you do not want to organize all this by yourself, here is a great tour I can recommend – it is about 300 USD, with all transportation, tickets and a guide included. It might be a great option for those who don’t have much time in Peru (you come back to Cusco the same day), and those who do not have time to organize the trip, plan and book everything. I calculated how much will be your expenses if you organize a tour to Machu Picchu independently (by summing up your transportation, entrance and accommodation expenses). See the detailed breakdown above. I also talked a lot about some problems you might encounter on the way – how exactly to get to Machu Picchu, how to buy tickets online, what to do if your card is not accepted (happened with me) and many more! 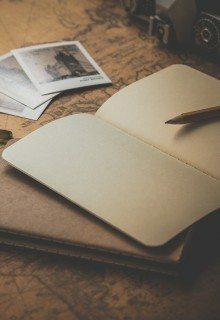 Hope the info here was useful and now you will be able to avoid many mistakes and organize the vacation of your dreams. If I forgot about something, please ask me in the comments, I will be glad to answer! Anything for one who’s senior, wants to see macchu Picchu with the least walking. 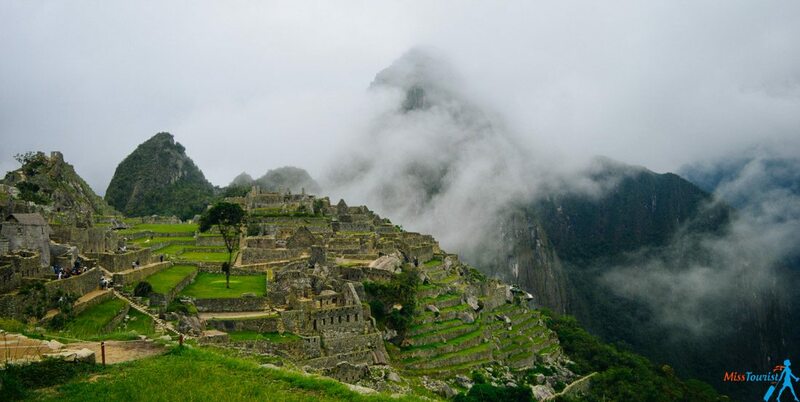 Yes, it is very easy to discover around, you will see Machu Picchu pretty much right after you enter. Do not get the ticket to Huayna Picchu, it is quite a challenging hike! 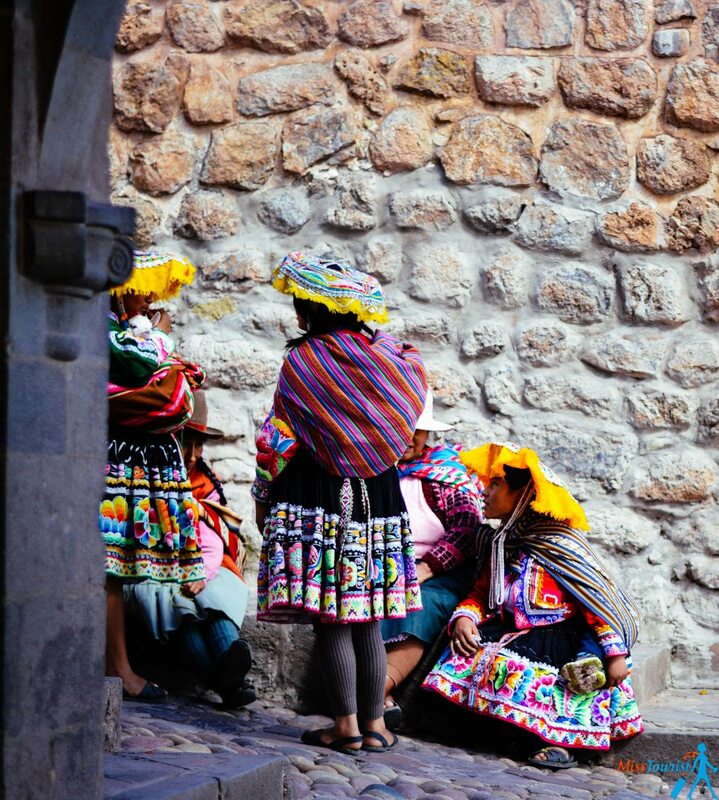 Hi Yulia.I luv your tips on all your travels.Im planning to go to Peru in September.Any advise on using a local travel agent directly in Lima for booking tours in Lima & Cuzco? We are on a budget trip andcwant to arrange our own accommodation & tours instead of using a travel agent & package-deals.We r from South Africa and a group of 4 travelling. I organized the trip by myself, without the use of the agencies. I always use this company however and can really recommend them. It is a bit more expensive than if you would book it all by yourself, but it save you a lot of time and let you relax and enjoy your vacation! 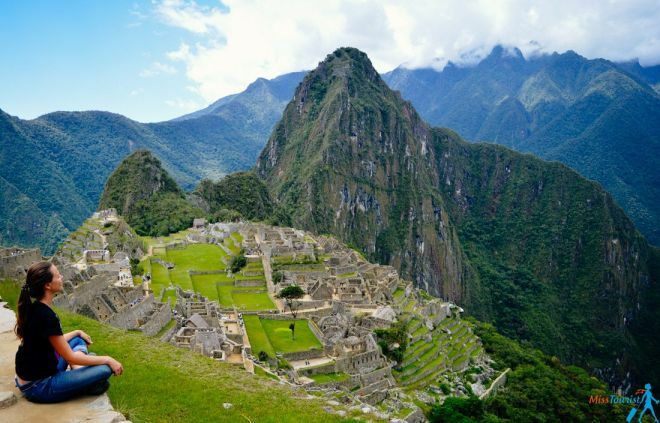 We’re currently planning a trip to Machu Picchu and this has been really helpful, thank you! Tickets are booked and the process was simple thanks to your advice, cheers! The iconic picture that everyone takes in MP (to be more concrete the one you have when talking about Huayna Picchu and the very last one at the end of your post) was it taken in Huayna Picchu? I’m asking because I’m not that much of a hiker and I wasn’t planning on hiking unless I have to if I want to take that picture. Second: I’m traveling from US to Lima. 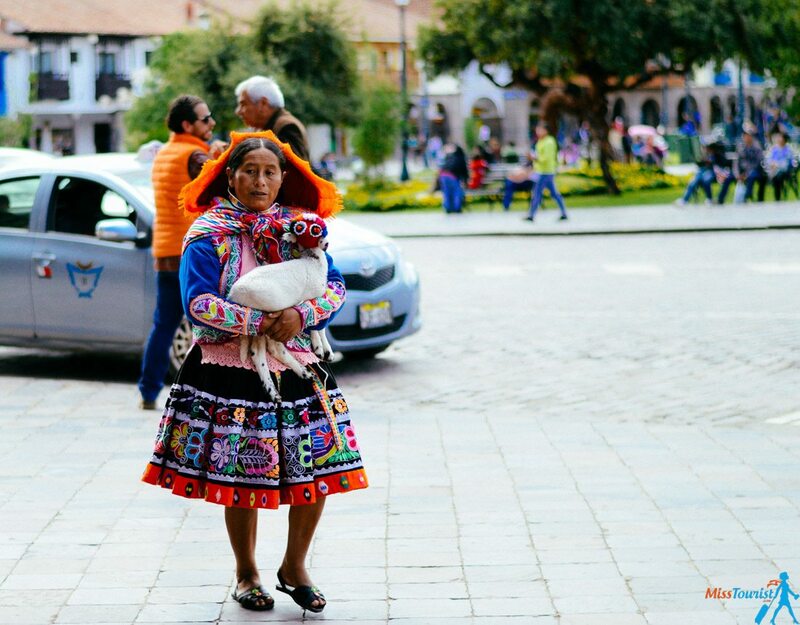 Did you travel directly to Cusco or you started in Lima? I’m asking because I saw that from Lima to Cusco I gotta catch a plane that costs around $150 one way, so if I can save $ doing it differently would be better. I’m traveling alone (for the moment), no couple, just me. Any other recommendations? Thanks so much for sharing your experience and these insightful tips. I started in Lima, but if you want to skip it and can buy a ticket directly to Cusco, you can do that. Hi Yulia!! Thank you for posting all this excellent information about Machu Picchu. My friend and I are planning a trip on December 2018. I have read on many sites that we need a tour guide. Is this true? 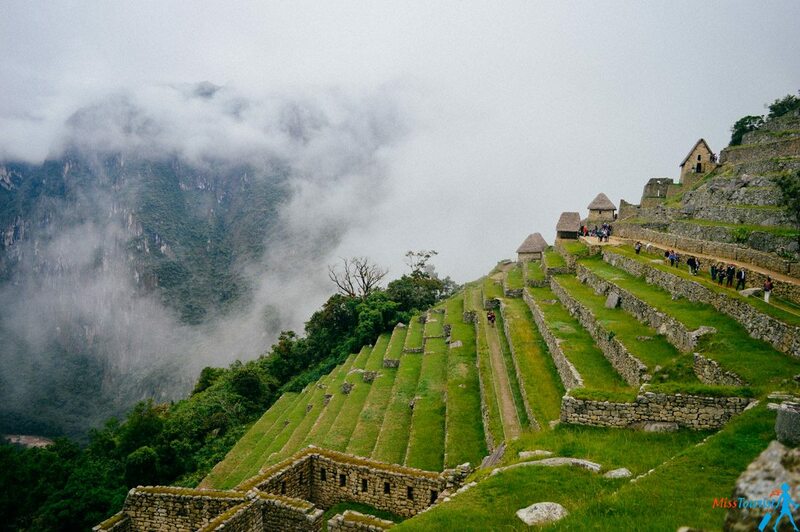 Also, can we hike Huayana Picchu and Machu Picchu mountain on the same day? We are avid hikers and would like to climb both in addition to exploring Machu Picchu. Thanks again for all the info! if you reread my post carefully, I believe i have answered your questions there, both about the guide and about hiking 2 peaks will many details. Excellent blog Yulia. The alternative of 12 Km that you comment is an alternative way used by those who do not want to pay the high prices of the train due to the high season. Besides being able to take a hot bath in the hot springs of Cocalmayo you can also enjoy the trek to get to Machu Picchu. There are other alternatives to get hiking to Machu Picchu, for example the Salkantay Trek and the Salkantay trek. The Inca Trail requires hiring an operator company anyway and by Salkantay you can do it on your own, however there is nothing like a guide for your trip. What a fabulous explanation of everything! Can you just stay in Cusco and get to Machu Picchu? 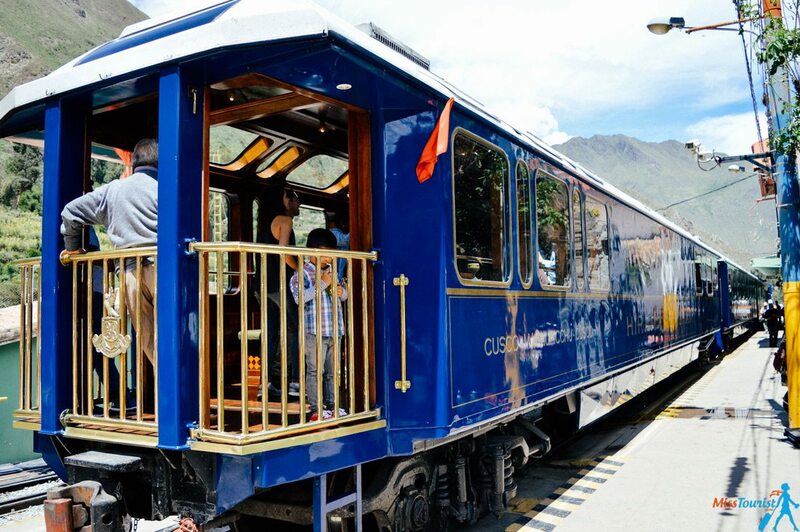 Are the trains in Cusco? 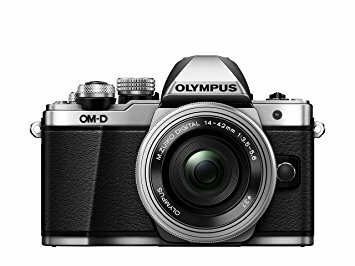 Once in MP, how much time do you recommend to see as much as possible? My friend will be flying from the U.S. to Lima. Thank you again Yulia!! Please check How to get to Machu Picchu from Cusco section, it explains in details about the train (no, is starts from Ollantaytambo). I think a day for visiting Machu Picchu is enough, but you could potentially stay longer if you are very much interested into inkas, but usually people stay for 1 day. 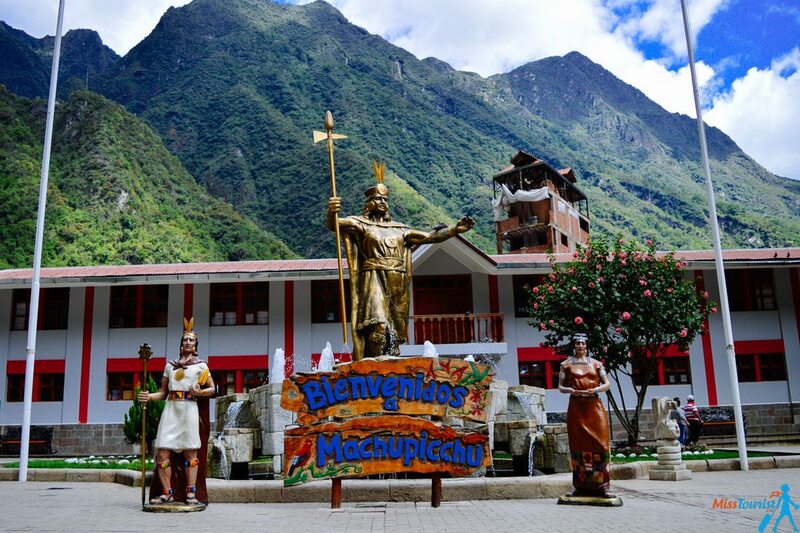 You will need to stay overnight in Aguas Calientes though because you will probably want to start your visit of Machu Pichu as early as possible the next day. An Excellent guide! With lovely photos accompanying it ! Well done !! Planning to go beginning of February next year. Do you think the grand total of 240 dollars would still be approximately the same? Many thanks again on behalf of everybody. You did an amazingly good job. Thanks so much Petros! I think it did not change much tbh, but please check the official websites, I have provided them in the post. Hi Yulia love your report and i am so gonna see your post if i plan on going somewhere. Meanwhile i am planning on going there to MP and stay in Cuzco. All the amount that you were mentioning were they in american dollars or Peru currency. All the info is in USD, the price might have insignificantly changed a little since I was there. Thank you, there is a lot of information about traveling to Machu Picchu, but I would like to contribute the following, it is necessary to buy the entrance to Machu Picchu one or two weeks before, because to do it a few days before, to visit Machu Picchu and by itself is very complicated, Not to say impossible, it is better to prevent.